We couldn’t operate Harbor Interfaith Services without volunteers. They operate the Food Pantry and Clothing Closet, tutor the children in the Children’s Center, and provide help with everything from cleaning to filing. Volunteering begins after an orientation. The orientations are the second Wednesday of every month at 10:00 a.m. and the fourth Wednesday of every month at 3:30 p.m.
You can volunteer as an individual or a group. To volunteer, please contact Wes Dugle, Volunteer Coordinator, at 310-831-0603 x305. Generally, volunteer hours are during business hours. 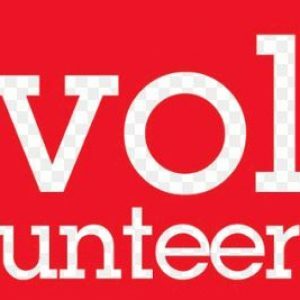 Here is a link to the Volunteer Application: HIS Volunteer Application. General Requirements: Ability to stand on your feet for most of your scheduled time and able to lift up to 40lbs of items delivered to FRC. An FRC Aide (Family Resource Center) engages in a multitude of tasks but primarily helps maintain our Food Pantry, which is one of our primary resources for our clients. After a client meets with his or her case manager and is given a referral, it is the duty of an FRC Aide to prepare a bag of groceries, according to the size of the family (along with other items they may need such as a hygiene supply bag which contains toiletry items). Standard customer service skills are required as volunteers must represent themselves and the agency in a professional manner. FRC Aides help clean, sweep and mop the food pantry as well as the lobby area where clients are seated. Volunteers also process noncash donations as they come through our loading dock in the back of our building, greeting donors, writing down their information, and storing the donations for our clients. Maintaining our clothing closet may be another task asked of our volunteers, where they help fold and shelve our clothing donations as well as clean when needed. General Requirements: Must have medical proof of an up to date TB Test as well as the following vaccinations: Flu, MMR, Protesis (not required if from LAUSD school system). Ability to stand on feet for most of a scheduled shift is required as well. A Children’s Center Aide’s main duty is to help supervise the children our teachers. This might entail playing with the children (toys, card games, recess, etc) or simply watching them during nap time. Volunteers may also be asked to read to the children or help with their homework should they be scheduled during the after school hours between 3 pm and 6 pm. Volunteers also help with cleaning duties around the classrooms on occasion and help our cook present meals, snacks, and beverages to the students during meal time. A volunteer’s ability to interact consistently with the children is crucial to performing the duties of this role. General Requirements: Must have medical proof of an up to date TB Test as well as the following vaccinations: Flu, MMR, Protesis (not required if from LAUSD school system). Background check and commitment to at least 2-3 hours a week and 3 months of service required. Ability to stand on feet for most of scheduled shift is required as well. Seniors 55 and older, only. Good role for Seniors and Retired Teachers. The Foster Grand Parent program is a new volunteer role for the agency beginning in September 2018. Foster Grands help develop the child’s vocabulary, grammar, and social skills. Volunteers could be assigned up to five children per week. General Requirements: Must be at least 18 years of age, office work experience is a plus. Ability to type and answer phones as needed. A clerical/admin support assistant tasks aiding our directors and case managers in their daily work, including filing, scanning and organizing paperwork, taking and making phone calls, front desk duties, and general assistance around the office as needed.